Pineapple Ginger Detox Smoothie- pin now, make later! 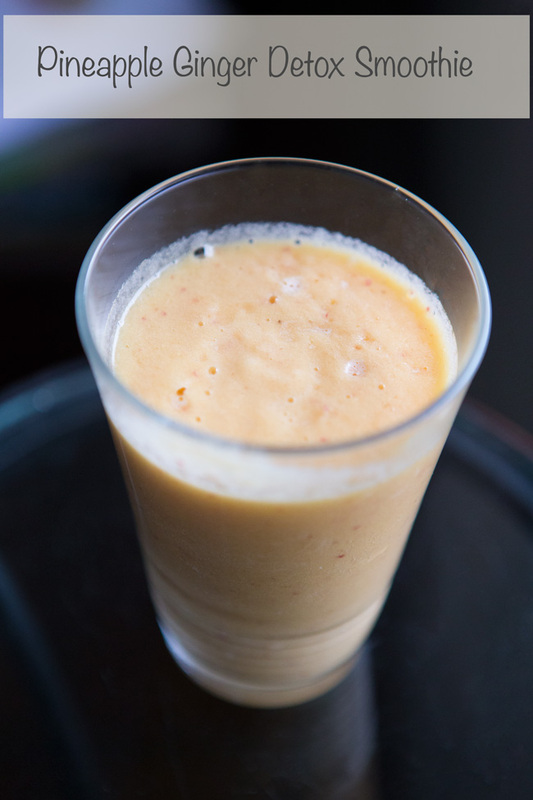 Breakfast smoothie - pin now, make later! In addition to the post workout breakfast smoothie, this detox smoothie is on heavy rotation at my house. The base is pineapple, which is so beneficial to the body. Pineapple contains manganese which is good for our bones. It also contains bromelain which aids digestion and has anti-inflammatory properties. I put an orange in, which contains vitamin C that is great for the skin and cardiovascular system and is a powerful antioxidant and antimicrobial. Ginger was the last ingredient, and it's spicy, so it balances out the sweetness of the pineapple and orange well. Ginger also has anti-inflammatory properties, and is great for soothing the stomach, and aiding digestion, so pop as much in as you'd like. Hope you enjoy! Blend everything together in a high powered blender until desired consistency. Drink and enjoy.